Basically the action would be calling this script. Yes, it is known that the "Quit Application" action exists. A shortcut - ⌘Q - is being requested. Is there a way to quit selected apps with this shortcut? Basically just making ⌘Q send the selection to the "Quit Application" action. In the same way that ⌘T send things to the Terminal. If not would it be possible to add this feature? 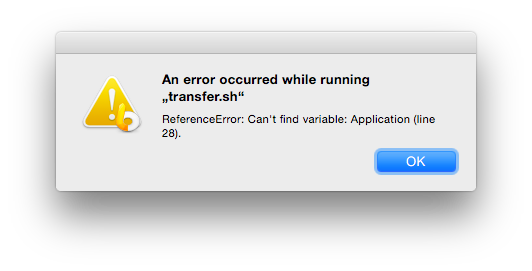 Applescript doesn't seem to suffer from this problem. This new-ish service allows anyone to upload files using curl: https://transfer.sh/ It's pretty simple and works great. Anyone has any idea on how an action could use this service without blocking launchbar while large files are uploading? Also, any ideas on a good way to display the upload progress? Well, it seems I will leave Growl notifications on the script until I don't have to use it anymore. Couldn't make the notification center work while displaying the url on launchbar. @pujtec can you make those work together?